New Gmail to Feature Categories for Social, Promotions, and Updates? 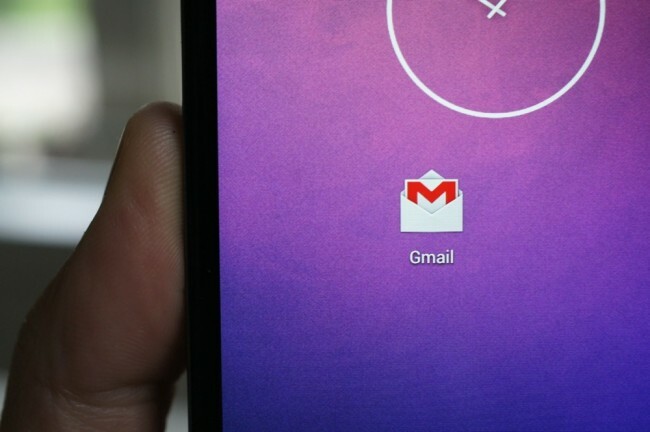 Along with a redesigned app for Android, is Google planning to introduce a new type of organization for Gmail across all platforms? In a series of leaked screenshots sent to TheNextWeb, we may see a set of five category types embedded within our inboxes to help keep things organized. The categories are listed as Primary, Social, Promotions, Updates, and Forums (pictured below). Primary would would be the category for important emails from friends, family members or any other major communication that also may not fit into the other categories. In Social, you’ll find emails related to social networks like Twitter, Facebook or Google+. In Promotions, emails from coupon sites or retailers will be grouped, while the Notifications tab will let you know about bills that need to be paid, flight status updates, or other reservation types that are upcoming. Last, the Forums section could be emails from messageboards or forums. As you’ll see in the screenshots below, these changes could rollout to updates for the web, Android, and iOS. TheNextWeb suggests we could see these all over the next couple of weeks, but at this point, it seems like anyone’s guess. 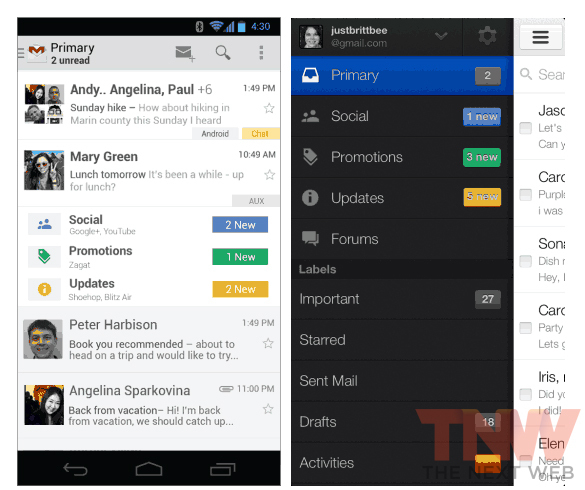 Haven’t we been expecting a revamped Android Gmail app for months now? I’m not exactly sure what I think of these new categories. On one hand, I wouldn’t mind if Google took all of the garbage emails I receive and tossed them into a separate category, but you can do this already with a filter or two. I guess the automation here is the point, especially for those who don’t even know what a Gmail filter is. Of course, there will likely be a way to opt-out of this new feature should you prefer the current Gmail. Thoughts on this new way of organizing your inbox?